Really. 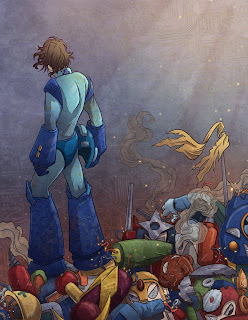 When all is said and done, at the end of the day, what else can Mega Man do after defeating all the master robots? It's not like he can go home and clean the house/laboratory... that's Roll's job. It's actually quite a sad thing, when a machine outlives it's usefulness. To be replaced by something newer, grander... .......harder, better, faster, stronger. I wanted to edit Mega Man's costume a lot because it's just so darn simple in the 8-bit version. But it seems to become ridiculous in the later versions, as if Capcom was compensating for this fact. I tweaked his knees and maybe his shoulders and that was about it. Enjoy! ooo i like this.. awesome concept. i mean what is he gonna do with all those powers?? This is very cool. I was just playing a new Mega Man that was 8-bit and impossible. 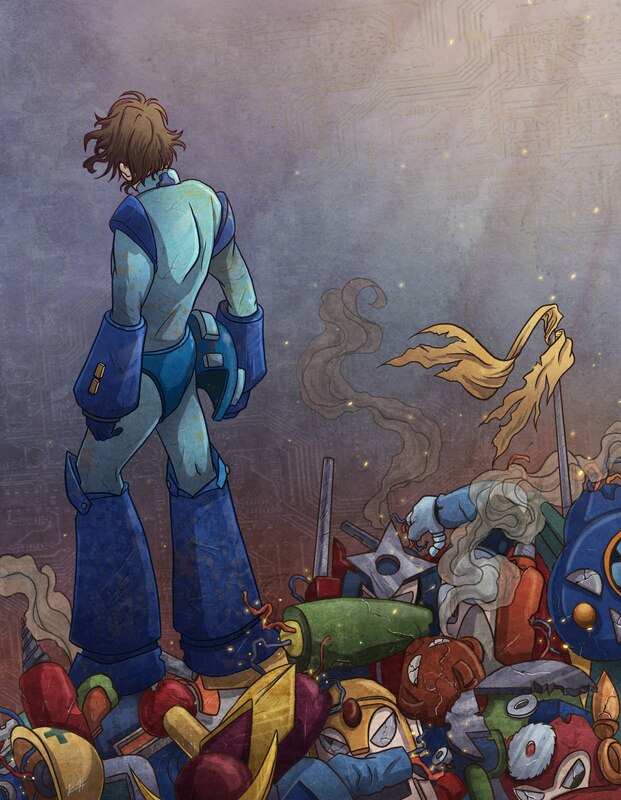 I still love Mega Man though.